New Delhi : At a time when people would be expecting extreme war of words between Rahul Gandhi and Narendra Modi, the former seems to be showering love as he advised his partymen to never say 'murdabad' against the current PM of India. In a new twist he advised his partyworkers to win against the Bharatiya Janata Party with love and affection, "which is what the Congress stands for", reports PTI. 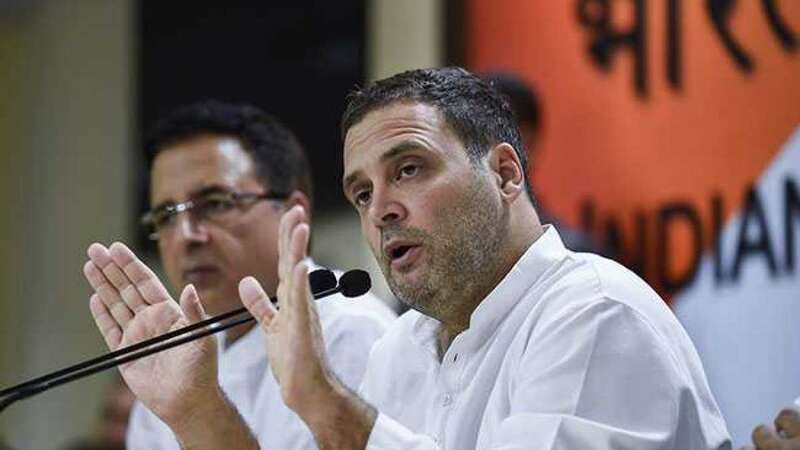 A couple of months back, during a debate on the no-confidence motion in Lok Sabha, Rahul Gandhi had said, “I have not an iota of hatred or hard feelings against you. You hate me, I may be Pappu for you. But I love you and respect you because I am the Congress.” He then walked over to the Prime Minister and hugged him. On Wednesday, during a public meeting, Congress partymen were shouting 'murdabad' every time Rahul Gandhi took Narendra Modi's name in his address. “These words (murdabad) are used by the BJP/RSS people. We, in Congress, do not use these words as we believe in love and affection,” Gandhi told party workers, reports PTI.